This is part of a series on worry. Check out Part 1 and Part 2 if you missed them! 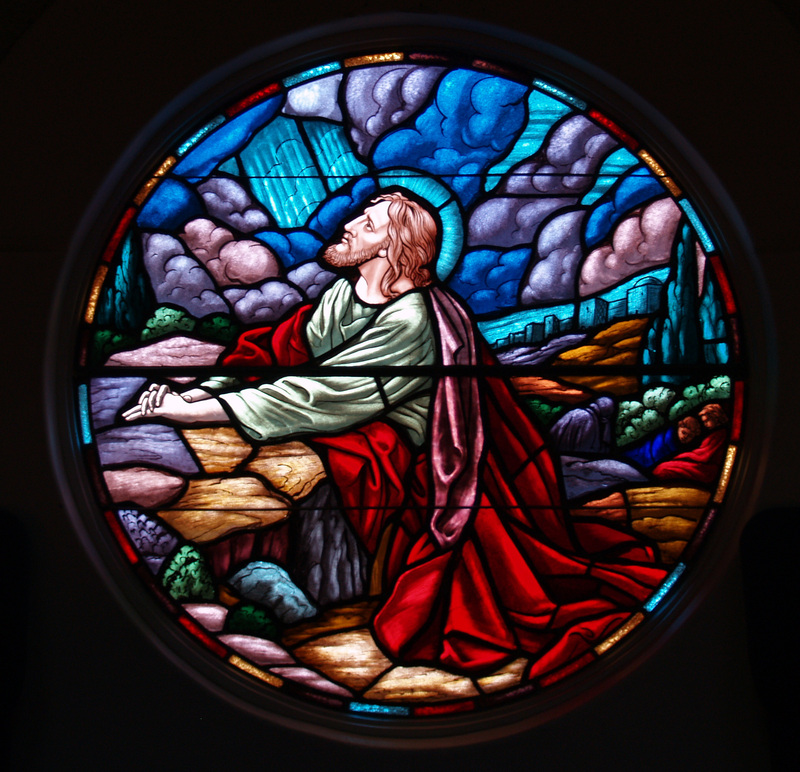 WHAT WAS JESUS’ EXAMPLE ABOUT HANDLING DIFFICULTY WITHOUT WORRY? I think about Jesus’ life and the example He gave for us of living by faith in God. He knew for years (well, literally, He knew for all eternity) that He had come to die on the cross. He knew exactly when it would happen. He knew exactly what would happen. He actually planned the details before time began. He knew how awful it would be physically, mentally, emotionally and spiritually. I think it is amazing that He only began to seem to really experience the psychological/spiritual weight of what was coming the night before His crucifixion. He didn’t worry the whole 33 years of his life. He didn’t freak out. He didn’t obsess. He didn’t try to bargain with God. He didn’t choose the most comfortable route. He didn’t shrink from total sacrifice. He asked God to allow the cup to pass Him, but said, “Not my will, but Yours be done” – the essence of biblical submission! He had talked about how His death would happen many times during those 3 years of ministry – not that the disciples understood Him. But it was not until that night, several hours before He was arrested, that He began to pray so intensely that He actually was sweating blood (which has happened to other people, by the way, under extreme stress). It’s easy to think that, “Oh, well, Jesus was perfect, He is God – so it wasn’t a big deal for Him to go through all of that suffering.” But He was human! And He was holy and sinless. He was God. And He was willing to experience death and endure His own great wrath for our sin so that we could be spared from His wrath. What kind of insane love is that!?!? It is unfathomable that anyone could love us that much – but the sovereign, holy God of the universe?!?!?! That is mind blowing crazy! I think the most horrifying thing for Him was bearing all of our sin on Himself and losing that precious connection with His Father for a time. He became sin, Who knew no sin. Jesus and God were One – they had NEVER been separated before. I don’t think we can truly appreciate the scale of the weight of the sin He had to carry for us. To go from complete holy perfection to ” bearing the awesome weight of sin. Every bitter thought, every evil deed crowning His blood stained brow” to “take the blame, bear the cost” so that “we stand forgiven at the cross.” ( One of my favorite songs, The Power of the Cross – by the Gettys). He did that for us. He bore the weight and strain of the sin of every person and swallowed the grave and death in victory on our behalf. And to think, He didn’t worry about all that was to come. He KNEW what was coming. We don’t know. We sometimes think we know – but we don’t know what is ahead. Only God knows that. A woman can either try to have control in her marriage or she can have intimacy. They are opposites. If you choose one, you can’t have the other. If I place myself as being in charge of the marriage and try to control my husband – I repel him and lose intimacy. The price I pay for trying to control him is emotional/spiritual and maybe even physical intimacy. God designed him to be the head, the authority, the leader (I Corinthians 11:3) So, unless he is Spirit-filled, he will either unplug and go passive or he will become angry if I try to control him or usurp his authority. A wife does not gain intimacy with her man by attempting to be an authority over him. The parallels with our relationship with Christ are so amazing. For me to experience real intimacy and relationship in my marriage, my husband MUST see my faith in him as a man, my trust in him, my genuine respect for the good that is in him right now (even if he never changed), and he must hear my praises for him. THAT is how a woman draws a man to herself. It’s a similar scenario in our relationship with Christ. I either choose to try to have control over God and my relationship with God (placing myself in the place of God – saying I am god. I’m in charge. This is all my responsibility. So I need to worry and fret about it, using all my wisdom, strength and power to try to make it all work out) or I can have faith and trust in Him. I must decide, will I place my trust in myself, or in other things or people on earth – or will I place my trust squarely in Christ Jesus as my LORD? The only time a believer in Christ would seriously need to be afraid – is if God was not with him/her. That is what worry really is – I am picturing the future without God and without His power. I am trying to figure out how I will handle things and what I will do in my own power without God being there at all. Worry means I am trusting myself and that I don’t believe God will be there with me. Jesus had to face the terrifying reality on the cross of being separated from His Father, God. But we do NOT have to face life apart from God’s presence, help, power, wisdom, guidance, direction and comfort. HOW AWESOME IS THAT!!!!?!?! Scores of people… have positioned their lives on a religious road that makes grandiose promises at minimal cost. We have been told all that is required is a one time decision, maybe even mere intellectual assent to Jesus, but after that we need not worry about His commands, His standards, or His glory. We have a ticket to heaven, and we can live however we want on earth. Our sin will be tolerated along the way. Much of modern-evangelism today is built on leading people down this road, and crowds flock to it, but in the end, it is a road built on sinking sand, and it risks disillusioning millions.Biblical proclamation of the gospel beckons us to a much different response and leads us down a much different road. Here the gospel demands and enables us to turn from our sin, to take up our cross, to die to ourselves, and to follow Jesus. These are the terms and phrases we see in the Bible. And salvation now consists of a deep wrestling in our souls with the sinfulness of our hearts, the depth of our depravity, and the desperation of our need for His grace. Jesus is no longer one to be accepted or invited in but one who is infinitely worthy of our immediate and total surrender..You might think this sounds as though we have to earn our way to Jesus through radical obedience, but that is not the case at all. Indeed, “It is by grace you are saved, through faith – and this not from yourselves, it is the gift of God – not by works, so that no one can boast” Eph 2:8. We are saved from our sins by a free gift of grace, something that only God can do in us and that we cannot manufacture ourselves.But that gift of grace involves the gift of a new heart. New desires. New longings. For the first time, we want God. We see our need for Him, and we love Him. We seek after Him, and we find Him. and we discover that He is indeed the great reward of our salvation. We realize that we are saved not just to be forgiven of our sins or to be assured of our eternity in heaven, but we are saved to know God. So we yearn for Him. We want Him so much that we abandon everything else to experience Him. This is the only proper response to the revelation of God in the gospel.